In Loving Memory of Michelle Ketterman…..
DeSean, Adreea and Gayle Jackson, of the DeSean Jackson Foundation are deeply sadden to learn of the passing of Michelle Ketterman; and, extend their deepest sympathy to Michelle’s family and thousands of friends who reached out to Michelle for affirmation, love and support. Michelle Ketterman was an inspirational speaker, best-selling author, award-winning business owner and perpetual optimist. After many rewarding and prosperous years pursuing entrepreneurial pursuits, she was diagnosed with Stage IV pancreatic cancer. Without missing a beat, Michelle questioned how she could make the best of the devastating diagnosis and how her diagnosis could help others. With a new goal of redefining the cancer condition, she started sharing her experiences, motivating others to follow their passions and sharing their love right now. Michelle Ketterman was a category creator, successful entrepreneur, trainer, author, speaker, and avid gardener. She was a certified Mastermind Facilitator and certified Life Coach. Her natural obstinate side served her well; in building businesses, she refused to accept no for an answer. Always able to find creative, unique, and inexpensive resources, tools, and approaches, Michelle developed simple and powerful techniques for entrepreneurs and built a solid reputation on strong ethics and integrity while teaching others how their business can stand out in the crowd. Her clients learned how to build a business based on strong principles, processes, and systems. Michelle encouraged everyone to pursue their unique definition of success. Armed with little more than tenacity, strong ethics, and the unshakable belief that her vision would be realized, Michelle pushed a little known industry into mainstream awareness. Under her direction, processes, and big-picture planning, her simple idea created nationally accepted industry standards, the first recognized industry certification, and the most respected industry textbook and training material. Michelle worked several years at a Dallas area Chamber of Commerce where she was given a unique combination of first-hand experiences and observations that she used to help her clients define, plan, strategize, and create their success. Michelle Ketterman brought humor and real-world experiences in her presentations about overcoming diversity, never accepting defeat, and plowing through any obstacle with a smile and clear intentions. Michelle was known for being honest, fair, and getting to the point as quickly as possible because she believes there is no limit to what each of us can achieve once we know who we are and what we truly love. Using the experiences of a childhood spent with a violent drug addict, Michelle began formulating what would come to be known as the best-selling book “The Game of No Limits” at the age of 5; this is her 15th book. At 18, Michelle traveled to Albuquerque to meet her father for the first time. Although the trip was supposed to only last 2 weeks, Michelle stayed for 20 years and developed a strong sense of family previously unknown. She and her husband, known as “Mr. Wonderful” moved to Dallas in December 2005. Another job transfer for Mr. Wonderful landed them in Jacksonville, Florida in 2012. Michelle and Mr. Wonderful were married for over 22 years. 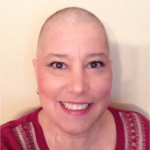 Michelle passed away peacefully on April 6, 2015 with her family by her side. She will be missed by the thousands of people she inspired. Please donate to The DeSean Jackson Foundation, in memory of Michelle Ketterman, so we can continue the #Fight against Pancreatic Cancer.